Other photos: Photo 1, Photo 2, Photo 3, Photo 4, Photo 5, Photo 6, Photo 7, Photo 8, Photo 9, Photo 10, Photo 11, Photo 12, Photo 13, Photo 14, Photo 15, Photo 16, Photo 17, Photo 18, Photo 19, Photo 20, Photo 21, Photo 22, Photo 23, Photo 24, Photo 25, Photo 26, Photo 27, Manufacturer Provided Image, Manufacturer Provided Image, Manufacturer Provided Image, Manufacturer Provided Image, Manufacturer Provided Image, Manufacturer Provided Image, Manufacturer Provided Image. This beautiful 2015 Hatteras GT63 Fishing Motor Yacht come with the best equipment’s you had ever found in the market. This Hatteras is rigged to the gills for serious tournament fishing,with unparalleled performance and luxury accommodations that only a Hatteras could deliver. Equipped with 3 staterooms and 3 heads with total of 10 berths, this 64’ provides plenty of room and privacy if desired. Two Seakeeper Gyro Stabilizer, Two generators, 2 x CAT C32A 1900hp, Blue hull, Tuna tubes, fresh bottom paint, outstanding electronics, Palm Beach Towers tuna tower,custom décor, the list goes on and on. Not to mention the proven sea-keeping qualities of the 65’ Hatteras, and just throw in stylish good looks and exceptional fit and finish. 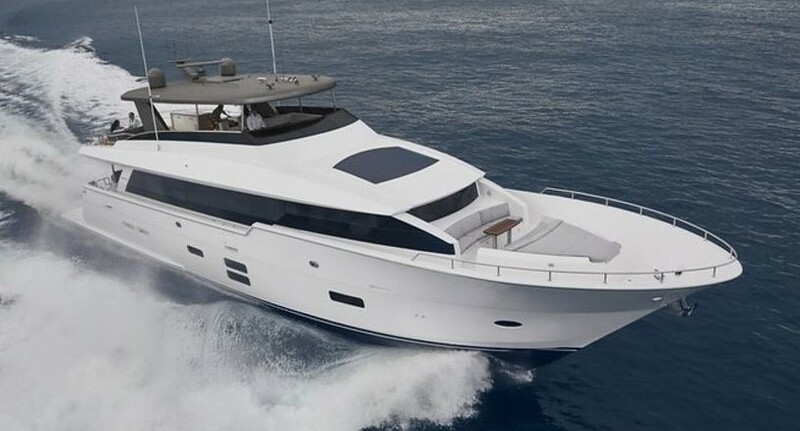 She is definitely one of the best examples of a late model Hatteras on the market today. SYS Yacht Sales is pleased to assist you in the purchase of this vessel. This boat is centrally listed by BLACKFISH MARINE.